In today's society, doing one thing at a time seems luxurious and a waste of time. 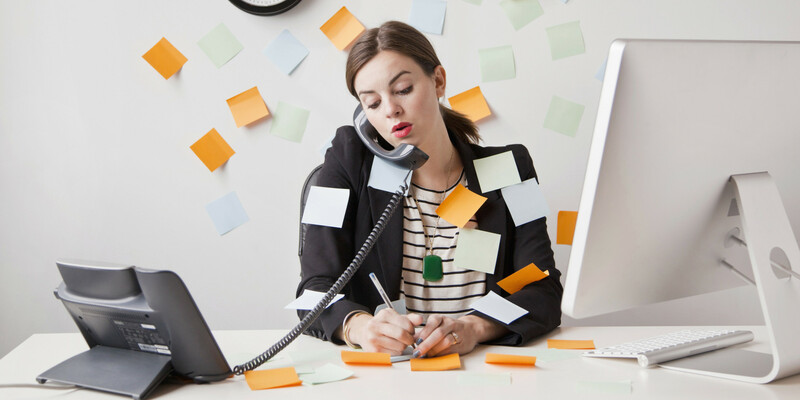 By engaging in multitasking, we treat our attention as though it is an unlimited resource. In fact, our attention is finite, and when we perform more than one task at a time, our attention doesn't exactly spread over them evenly. Our attention is actually constantly switching between tasks so it simply feels like we're doing more than one thing at a time. In fact, our performance on multiple tasks can drop significantly, as shown by research on divided attention. When you multitask, you are giving about half of your attention to each task. You may end up getting more checked off on your list, but you end up putting in a sub par effort. It has even been scientifically demonstrated that the brain cannot effectively or efficiently switch between tasks. In addition, studies have shown that when you juggle multiple tasks it adds to the stress level of people in the work environment (Wetherell and Carter, 2014) and it decreases overall productivity and performance (Buser and Peter, 2012) . I discovered this short Ted talk about the idea of mono-tasking. What if mono-tasking is the key to getting more done? Try focusing on one getting one project done at a time and remove all external distractions-- that means turning off your phone (#putphonedown) or putting it in another room. I am not saying ignore all other projects to focus on the task, but allow yourself to solely focus on the task at hand and notice the results. Are you a multitasker or a monotasker? Is it possible to be an efficient multitasker? Let us know your strategies in the comments below! Buser, T., & Peter, N. (2012). Multitasking. Experimental Economics, 15(4), 641-655. Wetherell, M. A., & Carter, K. (2014). The multitasking framework: the effects of increasing workload on acute psychobiological stress reactivity. Stress and Health, 30(2), 103-109.